The tango became an international fad during 1913, after beginning as a dance and music style in Buenos Aires, Argentina during the mid-1800s. The improvised dance originated in Afro-Latin communities, and was deemed inappropriate for polite society in Argentina until it became internationally popular. 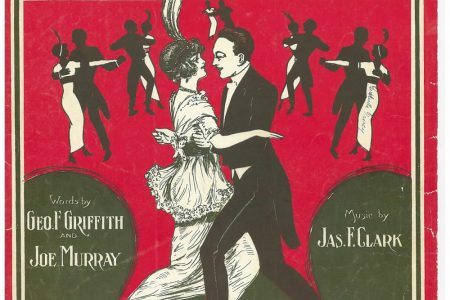 The tango rhythm is a variation of the habanera, and therefore represents an important example of African rhythmic diversity and geographic extension in the Western Hemisphere. 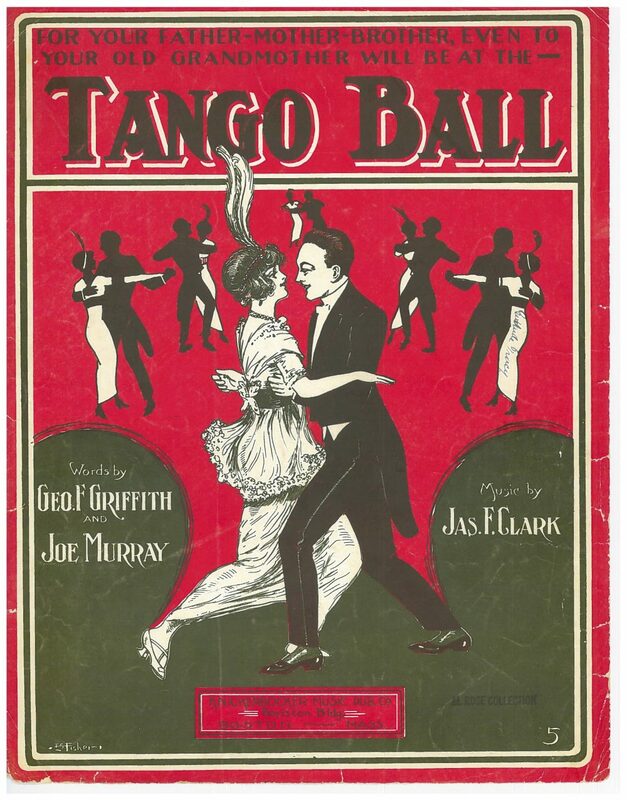 In the mid-1910s, dance bands and orchestras in New Orleans included tango songs in their repertoire, although the corresponding dances would have been variations of other locally popular steps built around the habanera rhythm. 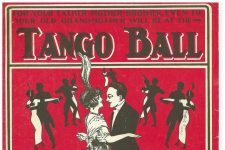 Interestingly, Spanish authorities used the term tango in the colonial period in reference to the African dances held at Place Congo (Congo Square). The word, which derives from the Kikongo language, was also used to describe a specific four-note African rhythmic cell (the basis of the habanera/bamboula/tango) in Cuba during the 1800s. In New Orleans in the 1920s, the term was applied to the back section of the French Quarter: In the Tango Belt, saloons and brothels flourished after the closing of Storyville. From the movie "TANGO" (1933).